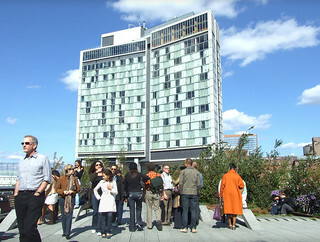 The new luxury hotel, the Standard, Meatpacking/Chelsea district West side, spanning over the popular High Line Park. 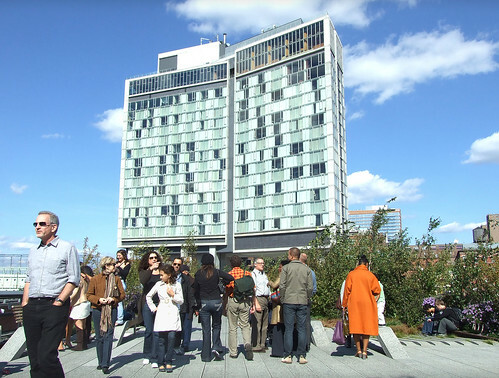 300 guestrooms, and spectacular higher views over west Manhattan and the Hudson River. My aerial photos of the Park were taken from the elegant top right suite.